Will Sponsored CDL Training Work for You? Do you dream of becoming a truck driver, but not sure how to pay for CDL training? You’re not the only one! It can be frustrating to come up with the funds, especially if you’re not currently working or working a low paying job. Truck driving, on the other hand, is a great high-paying career with lots of possibilities. 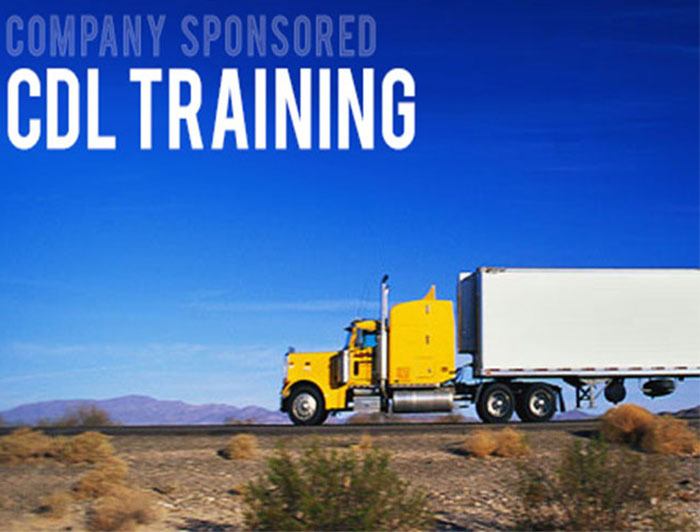 Did you know that some trucking companies even offer sponsored CDL training? Let’s go over what that means for you, and how you can advantage of this great opportunity. What Does Sponsored Training Mean? Sponsored CDL training is when a trucking company pays for a new employee’s CDL training and then hires them after to become a truck driver. The company pays for the employee to attend training, in exchange for an agreement that the employee will work for the company for an agreed upon length of time. Usually, it’s about a year, but it can vary depending on the company. Whether or not you have to repay the trucking company that paid for your training depends on the individual company. It seems the trend for most companies is to just have the employee agree to work for a length of time, without having to pay them back, unless the employment contract is not fulfilled, meaning you quit before the agreed upon time frame. Some companies will take the cost of training out of your first few paychecks, so be sure that you ask about the details of the contract before signing up for any employment-related training program. How Do I Find A Sponsored Training Program? There are several big-name trucking companies that offer this incentive. Don’t let the fact that you can’t afford CDL training stop you from job searching in the trucking field. Look at those job adds, many of them will state that they’ll pay for the training right in the add. If it doesn’t mention it, you can always ask when you call about the job. Georgia Driving Academy works with companies like Stevens Transport that offer this option. Contact us to ask about any available opportunities. Don’t let a lack of funds stop you from pursuing a career that will make you proud. Look for these opportunities- they’re out there! If a company likes you, CDL training is a small price for them to pay for having a qualified, dedicated employee like you, join their ranks.